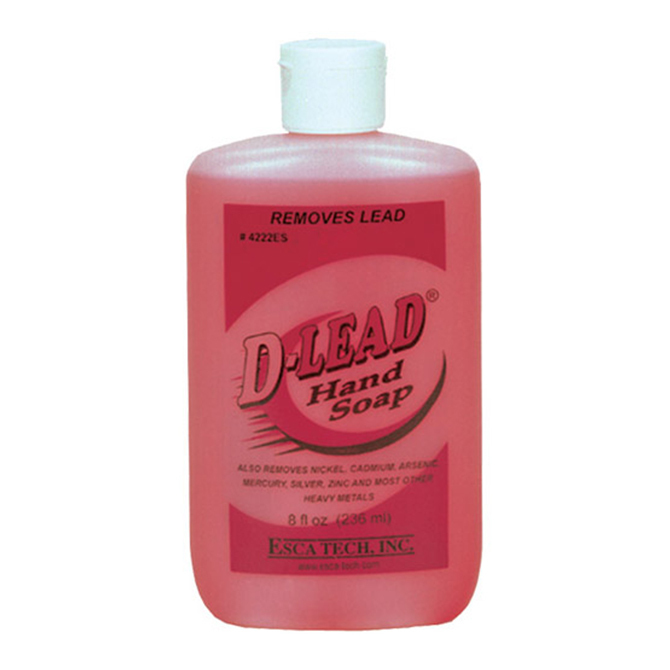 D-Lead hand soap provides quick, efficient removal of heavy metal dusts and contaminants from the skin and is designed for frequent use throughout the day. D-Lead hand soap is a mild, economical, fast acting hand and body skin care choice for clean up anywhere rinse water is available. Regular use reduces skin contamination and aids in reducing exposure.